December 3rd is officially known as National Roof Over Your Head Day. Anyone who’s adopted a cat has already done a great thing by providing them with a safe haven, but some cat owners and advocates have gone even further and created some truly eye-catching cat houses for their feline friends. 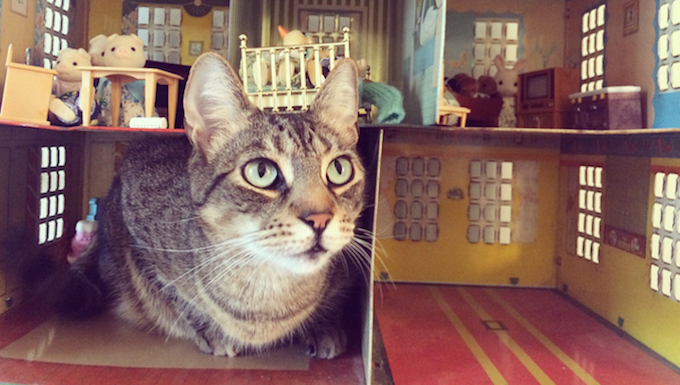 Here’s a round up of six of the most impressive cat houses you’ll come across. In the Spanish city of Valencia there are a few thousand stray cats. Thankfully, they get to make use of the House Of Cats, which, according to local legend, is a property that was given over to stray cats by its former owner and then fancied up by local artists. When the weather outside is frightful, stray and feral cats often have to hope that a kindly human has crafted some sort of shelter for them to hop inside. Over in Bulgaria, felines get to make use of spruced-up, cabin-style houses. You wouldn’t bet against this one having a cozy fireplace inside, right? We all know how much cats love cardboard, but this creative cat owner has amped up the idea of leaving a cardboard box out for your cat and crafted an entire cardboard robot. Felines living it up in Belarus apparently really appreciate the option of having some dainty little curtains on the windows to their sisal cottages. Over in Russia, the latest trend in cat houses is to go for full-on wood paneling. Finally, if your own feline has access to any sort of a cat house, now is the time of year to start adding festive flourishes to the abode. Have you come across any unique cat houses? Tell us about them in the comments section!